We have evolved and moved out of the jungles but a part of our soul still craves for it. 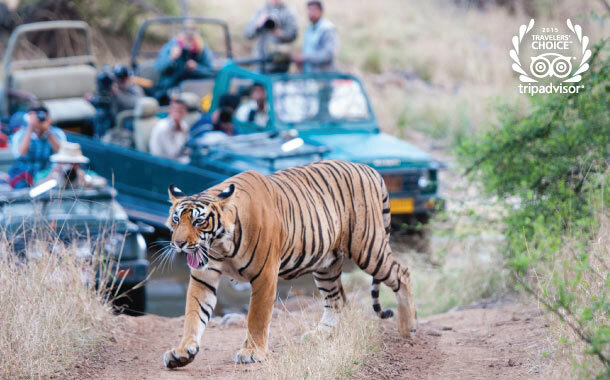 The elements of mystery, adventure and wilderness make safari in India a popular escape. Right from childhood, the bedtime stories, the Jungle Book cartoon program (Mowgli), movies like Tarzan and George of the Jungle have entertained us like nothing else. Recently, I saw the Hollywood movie ‘Blended’, where families were shown enjoying a luxurious safari vacation. From Jeep safari to yoga sessions, camping in wild to partying, canoeing to parasailing, it had all the recreational activities for a perfect break. For all you adventure junkies, take a peek at the top 4 safaris in India, all you need to do is book your flight tickets and you'll be on your way to create some thrilling memories. The name in itself gives away its essence, it’s a beautiful forest adorned with mangroves and lush greenery. It was declared a World Heritage Site by UNESCO in 1985. Here, you can indulge in a leisure cruise and observe the wildlife in their natural habitat. You can visit the Sudhanyakhali Watch Tower, from where you can catch a glimpse of the Royal Bengal tiger, maybe a kingfisher or a spotted deer quenching its thirst at a lake. 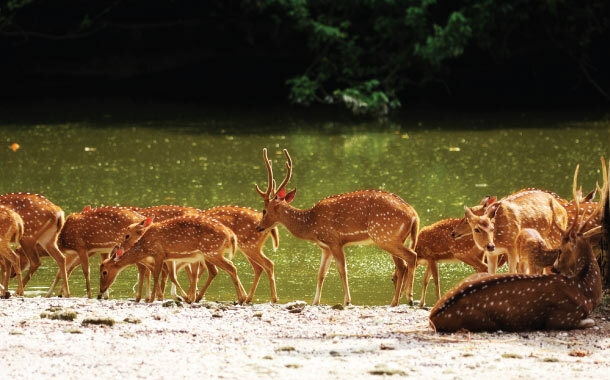 The other interesting place for you to visit is the Spotted Deer Rehabilitation Centre. Remember watching the Bollywood horror movie ‘Kaal’? Well, it was shot in this park. Imagine, a holiday at this dense forest, a bonfire, and exchanging lots of horror stories or incidents with your friends - it’s the perfect setting! 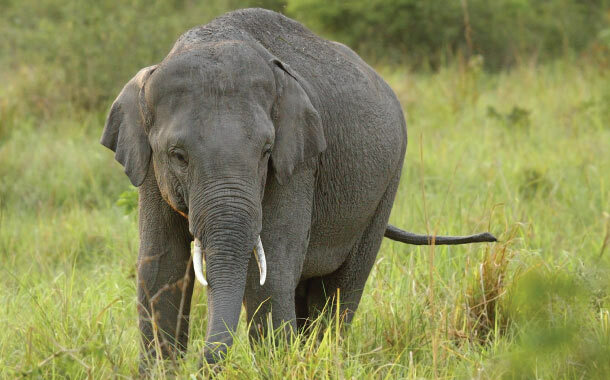 At this adventurous park, you can click pictures of the stunning wildlife like elephants, tigers and rare species of birds, while you enjoy your open Jeep safari. You can explore the Dhangarhi Museum, enjoy the Corbett fall or indulge in adrenaline pumping activities like rappelling and lots more. Sounds exciting? Then plan a trip with our Uttarakhand tour package. 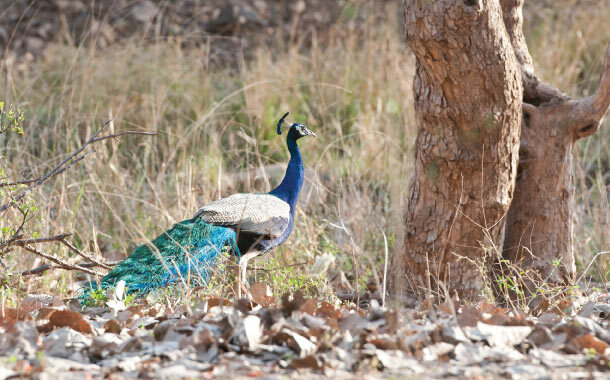 Picture yourself watching wildlife in the scenic forests of Ranthambore and spotting colourful birds, tigers, chital and leopards, isn’t it wonderful? While you are here, you can also take a tour to the Ranthambore Fort which stands majestically atop a hill overlooking the park and get amazed by the panoramic view it offers. A visit to the Kachida Valley can reward you with glimpses of panthers and bears. So, stop thinking and book your very own Rajasthan tour packages to create memories with this glorious land. Want to spot a tiger for real? Then, you must head to the Bandhavgarh National Park where you can see the tigers, while you enjoy an elephant ride in the wild. 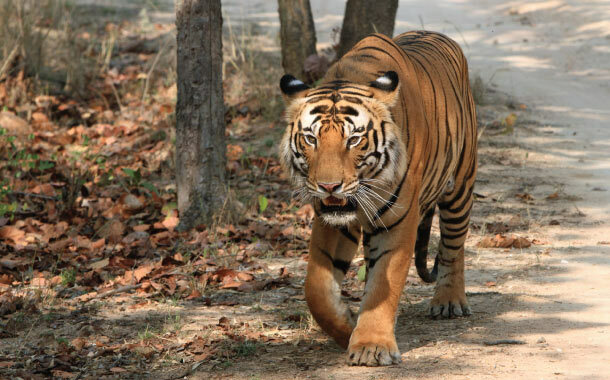 You can also try the Jeep safari and capture shots of leopards, sloth bears and spotted deer. Other interesting places that you can visit are Baghel Museum, Bandhavgarh Fort, and the Jwalamukhi Temple. So, try out this exceptional trip and do share your experiences with us in the comment box below.